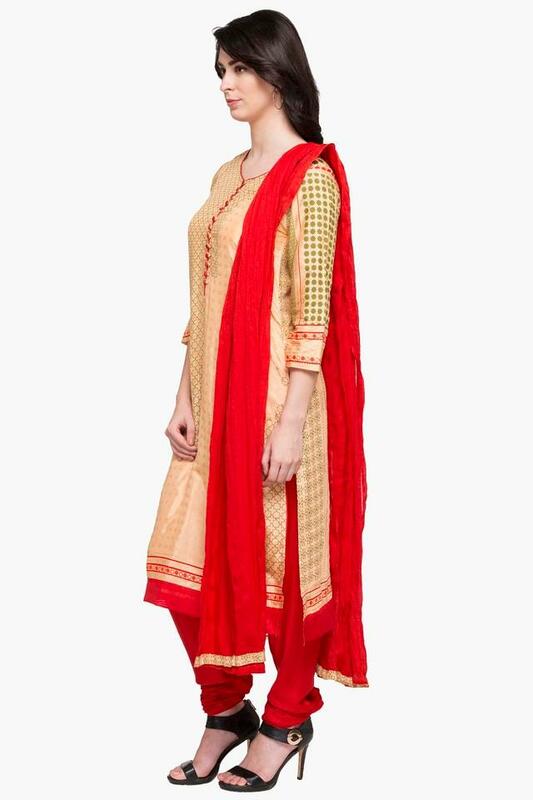 This churidar suit, brought to you by Stop, will make you score high on the fashion radar. The use of fine quality fabric in its tailoring makes certain that you stay comfortable all day long. Besides, the kurta flaunts a print pattern, which makes it look classy while the three quarter sleeves further add to its overall design. 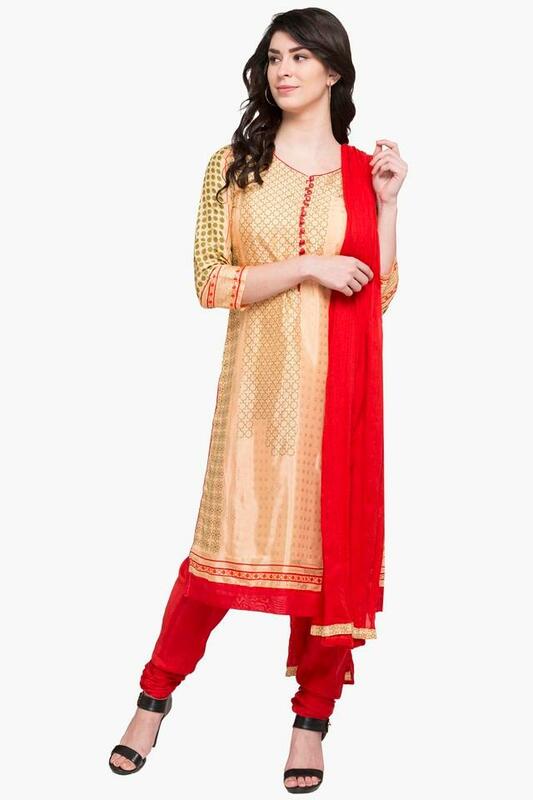 For casual occasions, if you like to keep it stylish, try out this churidar suit. Clubbing it with a pair of heeled shoes will make you look elegant.